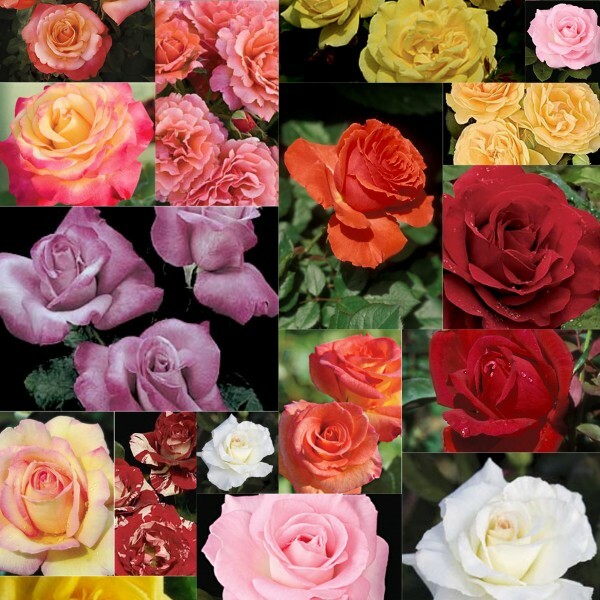 Knollwood carries a wide variety of roses; for our complete 2019 list please click here, please call for current availability. Below are just a few of our favorites. Our selection is chosen for it's success in our area as well as it's beauty. Tea roses, floribundas, climbers, and grandifloras are available from approximately late April through early June. KnockOut, Groundcover, and Shrub roses are available in our Nursery department from mid April throughout the summer. Be sure to check our Rose Care guide for tips. 2011 AARS Winner; cream and cherry blushed burgundy. Slight cinnamon scent, large blooms. 1946 All-America Rose Selection. Peachy yellow to pink, slightly fruity scent. Butter gold color and licorice scent; chosen by Julia herself to bear her name. 1997 AARS Winner Floribunda; Burgundy swirled with creamy white, every blossom is different. Pure yellow with gloosy dark green leaves and a strong licorice fragrance. Highly popular for their easy care, very disease resistant. Enjoy blooms throughout the season. Several colors are available in the nursery department. Easy care, very disease resistant. Blooms throughout the season. Available in the nursery department. Available in the nursery department.